Designed to assist the delivery of cold therapy, comfortably and effectively. Simply fill the ice bag with ice cubes or flakes and hold and compress inplace with the neoprene wrap. 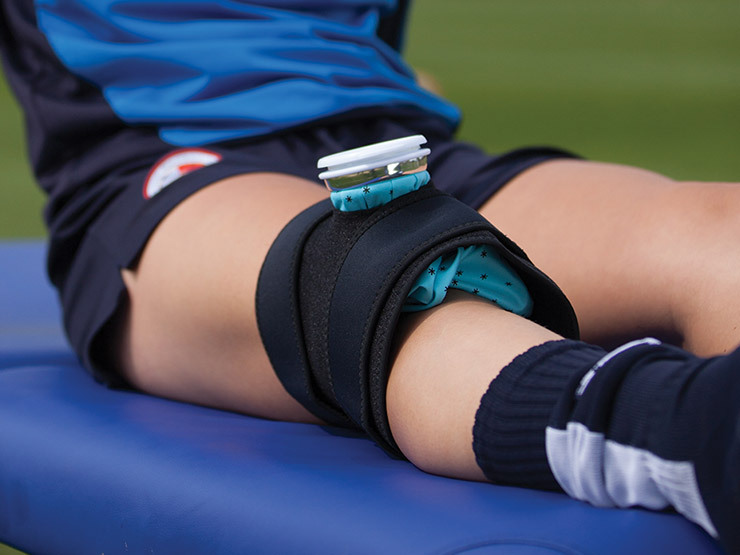 Very effective and efficient way of applying ice and compression, a fundamental part of treating any soft tissue trauma. Ice bag is 28cm and wrap will cover ankle, knee, thigh and upper arm. Dimensions 75 x 21cm.